We spent this morning in a post-Olympics doldrums, wondering what on earth we are going to do with ourselves, and then remembered: London Design Festival kicks off this weekend! At Conran, we’re pulling out all the stops to make it an enjoyable week. We’ve already mentioned The Conran Shop’s RED exhibition, and today, we have another reason for you to head to Chelsea. Filed under London Design Festival 2012, THE CONRAN SHOP, Where do you find design inspiration? We’re delighted to announce RED, an exhibition The Conran Shop will be holding throughout the 2012 London Design Festival, which kicks off a week tomorrow. Contemporary furniture retailer The Lollipop Shoppe invited 11 designers to create public benches which were on show throughout Spitalfields Market. 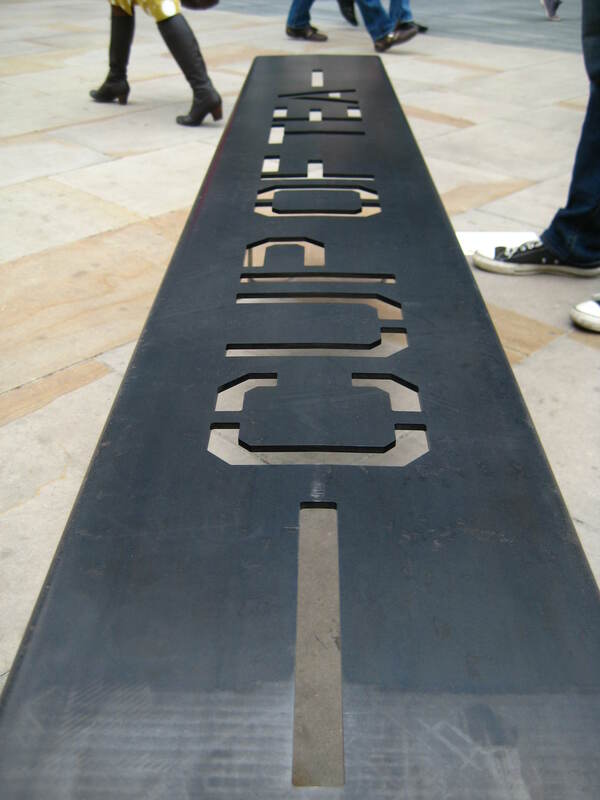 The results of this project showcased different approaches to the brief, with Michael Marriot and Anthony Burrill’s ‘Heavy Metal Bench’ featuring cut out text, Felix de Pass’ ‘A-bench’ made of mirrored oak and folded steel components and Decode/VW + BS’ ‘Solid Shell’, concrete based wire framed seats. As with a lot of public spaces, there isn’t a great deal of public seating so it was great to see the majority of the benches were in use, with the very different solutions to the brief enhancing the area both visually and practically. As if we needed any encouragement to see down and enjoy a nice cuppa. Norwegian Prototypes is the brainchild of Kim Thome and Amy Hunting. 12 Norwegian designers were given a brief to ‘design something that fits in your hand luggage’. With this fantastic brief the designers responded in a wide variety of ways, a lot of them concerned with the potential offered by the idea of expansion – such as Kim Thomes’ ‘Wardobe in the suitcase’ an expanding fabric wardrobe, which utilises a scissor mechanism to produce a wardrobe six times the size of the suitcase, and ‘Little big Lamp’ by Hallgeir Homstvedt, a fabric lamp where the construction has been based on photographic light reflectors, allowing the fabric lamp to fit into a 40cm square box for transport, and expanding to a diameter of 130cm when unpacked. Other designers participating included Oscar Narud, Amy Hunting, Stokke Austad and Sara Polmer. 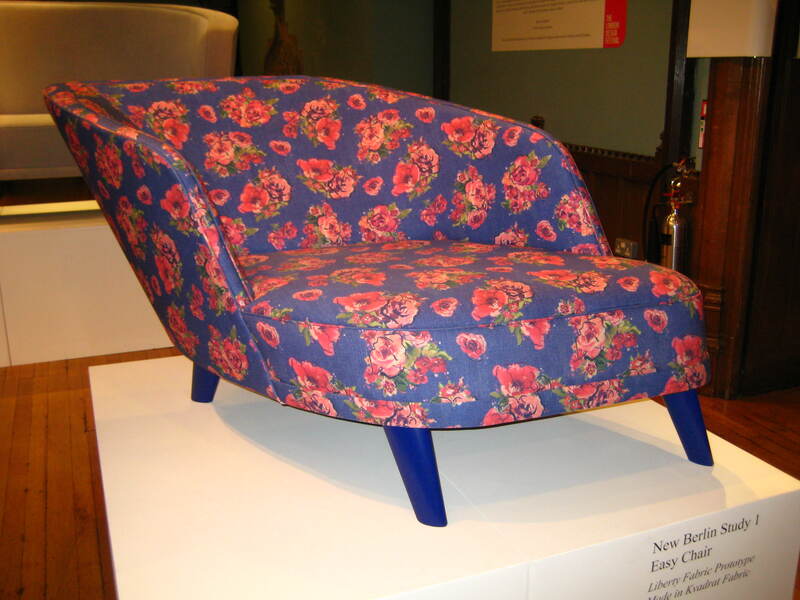 Best known for jeans, Swedish brand ACNE launched their first collection of furniture with Liberty last week. Five sofas are available exclusively from the store. 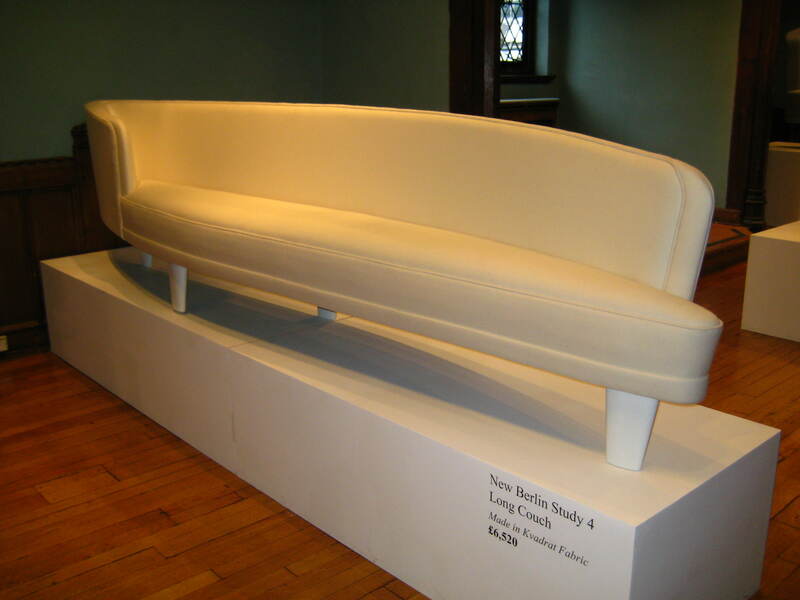 The starting point for the project was Swedish designer Carl Malmsten’s Nya Berlin sofa, which Jonny Johansson, creative director of ACNE utilised in order to come up with the collection. The resulting sofas are sensual, asymmetric forms, available in denim upholstery (by Kvadrat), alongside one in Liberty floral print. 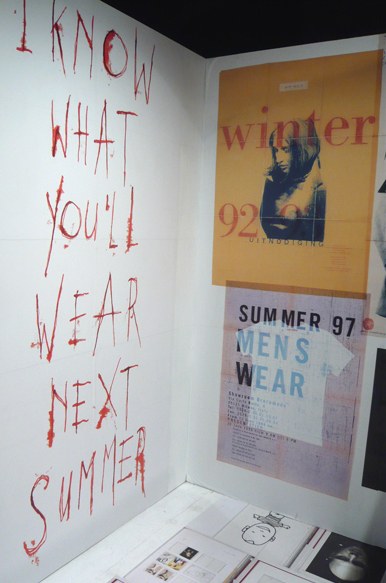 Thanks to Jess Corteen from Conran & Company for the words and images! 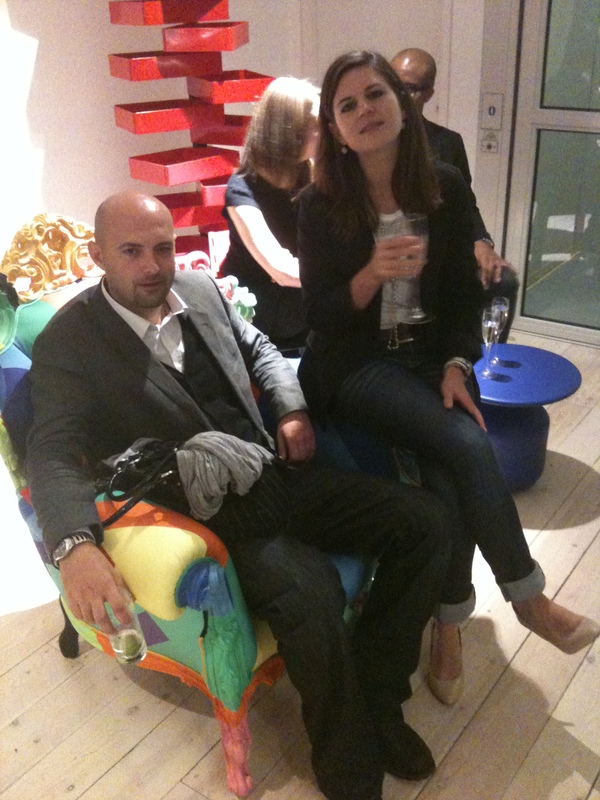 Last night saw the exclusive retail launch of the new Emeco 111 Navy chair at The Conran Shop in Fulham Road. 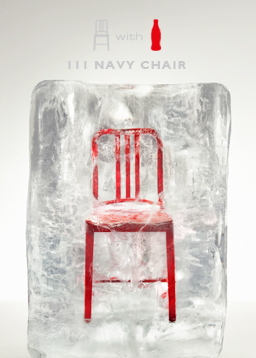 The chair is made from 111 recycled coca-cola bottles – not just a clever name. Read more about the launch here on The Conran Shop blog. Everyone’s talking about LDF’s new exhibition, Tramshed, on Rivington Street in Shoreditch, a collaborative showcase of authentic high-end design brands. Terence’s furniture company Benchmark are among them. Craftsmen from the company are working in a temporary workshop making a range of furniture from domestic pieces to commercial projects, demonstrating their specialist skills in both woodworking and metalworking. Very exciting. 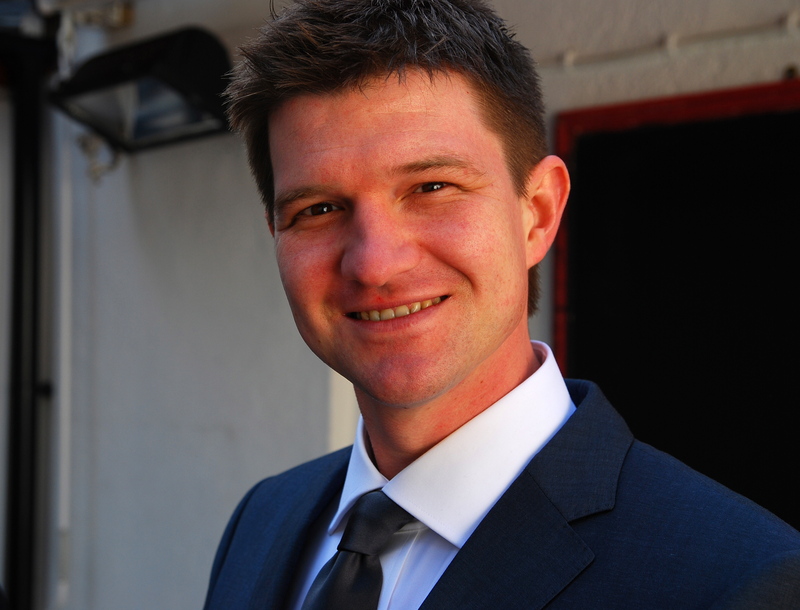 Read more about it here on the Benchmark blog. Yesterday night I had a magical dinner at the Wapping Project – by chance the design festival was also running ‘Trust Me’, an exhibition by Antwerp-based graphic designer Paul Boudens. 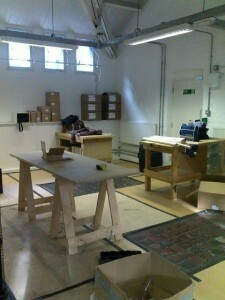 The work was presented in a large scale box covering the inside walls and flooring. 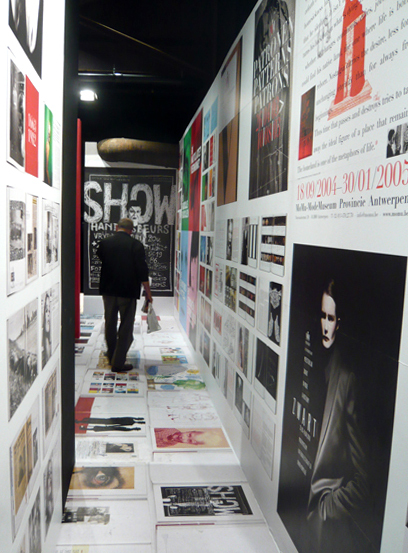 Posters, book spreads, prints and invitations covered the entire space. His work for the fashion world such as Dries Van Noten, Yohi Yamamoto, The MoMu – Fashion Museum Antwerp, Jurgi Persoons and Oliver Theyskens has a human feel to it, he uses paint amongst other materials and the work has a sensitivity that makes it less ephemeral than other graphic designs in the world of fashion. They have some great posters for only £5 on sale, well worth a look. Design week, or LDF as I recently discovered it is now referred to – perhaps to keep up with LFW – is usually a blur of samey showroom parties fuelled by way too much champagne, European lager or in my case GnT – ‘my case’ being that of a contract furniture salesman in the employ of Conran. Our multitude of International suppliers means there are no shortage of people to meet and greet at these events, and by now the new designs shown at Milan way back in the Spring are all too familiar. This Design week however had something unusual; not only a brand new showroom, but a brand new product being launched from within its four walls. Just off Shoreditch High Street is renowned Interior Designer Lee Broom’s new studio and showspace, a necessity now he has expanded his creativity into product design. 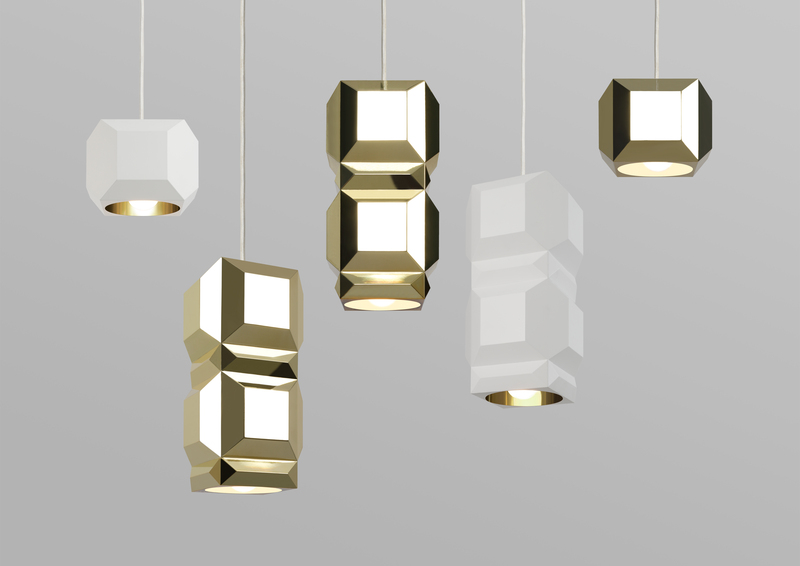 Being launched was the OLO collection, or One Light Only, the second string to Lee’s commercial lighting bow. The first being Decanter Lights, which we have already provided to a well known restaurant chain for a concept location, and it’s clear the OLO will have no shortage of interest from the A&D community and retail world alike. Every year one of the highlights of Design Week has to be the Capellini Party, for the last two years at The Poltrona Frau Group’s Barber Osgerby designed space on St. John Street. 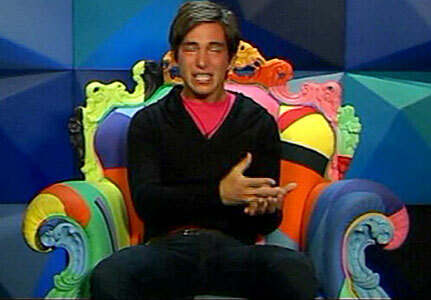 On arrival I was greeted by the familiar faces of the Conran fraternity, nestled in our very own Proust Geometrica chair, supplied to the Big Brother House of 2009. Being asked to supply Endemol with this iconic piece of furniture was a true eye opener to the capabilities of supplying to the contract market. What else is there to do at LDF? Too much to shake a hand-turned, ergonomically designed, made-from-wood-from-a-sustainable-source stick at. What about having a look at Tent 2010? There’s just so much to see and do out there at London Design Festival 2010 – here’s a quick sneak at Tent 2010 by Jess Corteen in Conran & Company. 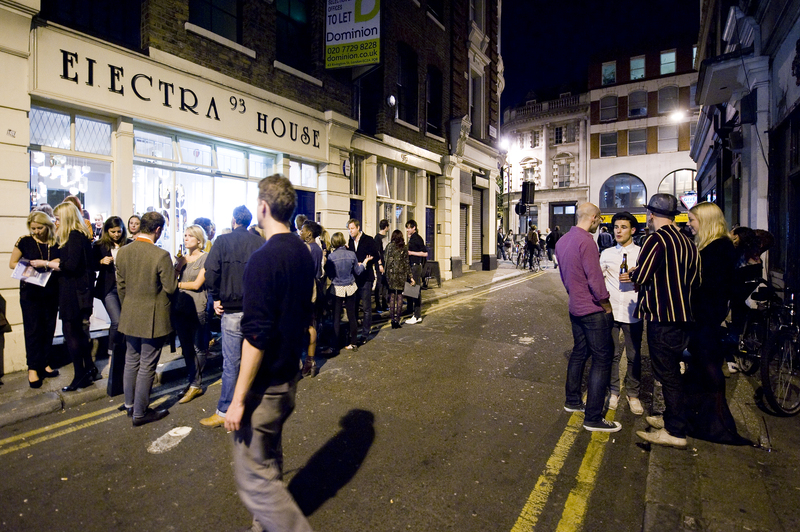 This year the Truman Brewery plays host to a variety of shows, here’s a quick look at Tent. Tent Selects showcases the work of up and coming designers, including RCA graduate Harry Thaler’s aluminium pressed chair (winner of the Conran Foundation award), Kirsten Read’s Containers, a series of moulded natural rubber latex vessels with spun copper fixtures, and winner of New Designer of the year, Tortie Hoare’s beautiful boiled leather and walnut furniture. Other stands worth stopping by include Ercol – this year showing colourful versions of some of their classic items including products from the Ercol Originals arrange such as ercol blue blend applied to their Love Seat. Contrasting with this colour was a cosy looking version of the Ercol Studio Couch, a design introduced in the late 1950’s but this time with white knitted upholstery and wool woven in between the arm struts. Curators collective JJAM showcase the results of a challenge to London based designers to reinvent the classic yellow duster – with some interesting results. 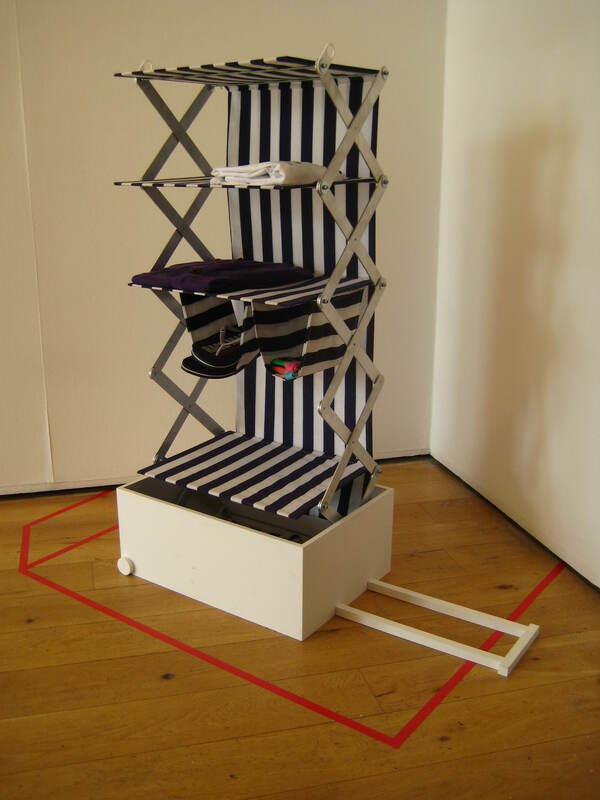 Recent graduate Dominic Williams had his ‘Clothes Donkey’ on display, a playful modern take on the form of a traditional gym horse, containing drawers and secret compartments, a lovely solution for bedrooms. 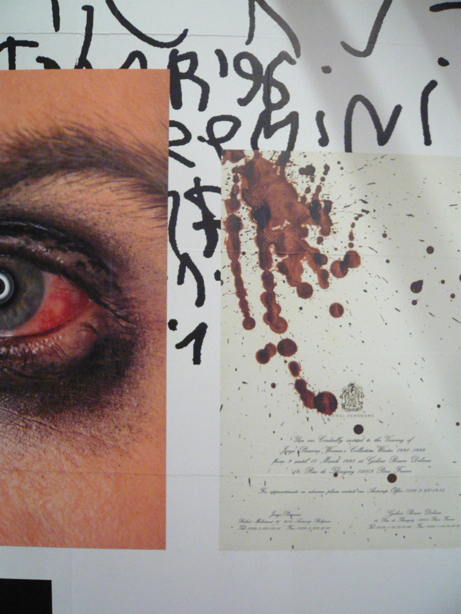 Alongside these, there is also the chance to see work by a range of contemporary designers. Also worth visiting is the Crafts Council Lab Craft show, an exploration of the potential of new technology within craft. Curated by Max Fraser, participants included Tord Boontje, Gareth Neal, Committee, Tomoko Azumi and Timorous Beasties and the results of experimentation with technologies such as digital printing, laser scanning and rapid prototyping. Tomoko Azumi’s reclaimed roof tile Bird houses make use of laser etching to produce a lovely solution for re-use, and Timourous Beasties make use of scanning and digital printing to produce a fabric pattern based on scans of a moth. As well as these, there’s also the chance to have a look at Tent Digital – an interactive visitor experience showcasing work by designers from a variety of disciplines, and KUMA, the Kingston University MA show. As London Design Festival hits the capital our team are out and about having a look at what’s going on…and enjoying a glass of wine or two along the way. Here’s Terence’s PR Manager, Mat Riches, on last night’s private view at The Design Museum. With the London Design Festival in full swing, every mover, shaker and hipster in town has their pick of parties and launches to attend, but there was a packed crowd from the great and the good of design at The Design Museum last night for the opening of John Pawson’s Plain Space exhibition. And it’s easy to see why we were drawn to this simple, beautiful and graceful exhibition. I have often found architectural exhibitions to be quite dry and uninspiring – perhaps my colleagues at Conran & Partners will consider me heathen but for all the technical excellence of model making and artfully shot photography, the beauty of buildings for me is in seeing and feeling a building, whether that be close enough to touch, a vista of a skyline or from deep inside. 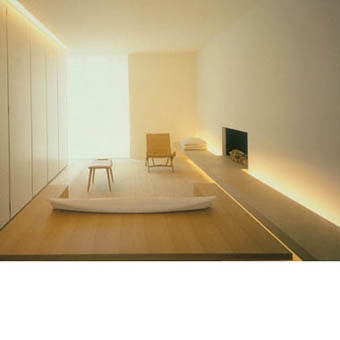 But Plain Space uses a wide range of media to intelligent effect to bring Pawson’s work to life with stunning effect. 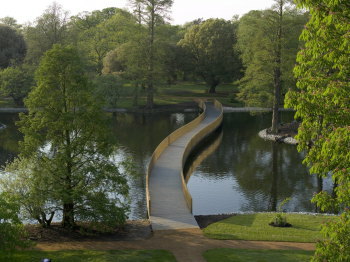 There is some pretty large scale photography of his architecture and I found myself lingering longest at the image of his Sackler Bridge in Kew Gardens – one of the most peaceful spots in London and my favourite place to think and contemplate life’s difficulties. But there are also architectural elements on display such as stone, metal, wood and bronze. Pawson’s design process is examined and demonstrated through film, sketches, study models and even personal items from Pawson’s eclectic personal collection. The highlight of Plain Space lies at the very the heart of the exhibition – a site-specific, full-sized space designed by Pawson to offer a deeply immersive experience of his work. 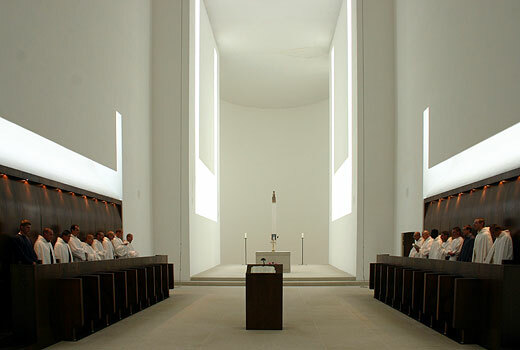 Pawson described it as “his little temple”. This is the first time the Design Museum has produced a 1:1 scale architectural installation inside the museum and it is this sort of vision that sets Plain Space aside from other architectural exhibitions this particular heathen has visited. Introducing the show, the Design Museum Director Dejan Sudjic called Plain Space “one of the most ambitious ambitious things that has ever been built in the galleries in Shad Thames” but I suppose it is part of Pawson’s minimalist ethos that it doesn’t immediately strike you as such. You simply get a deep appreciation of Pawson’s work, the inspirations behind it and of his personality and character and I came away far richer for the experience. I must return at a later date…when the wine quaffing crowds have moved on to the next party and I can appreciate Pawson’s sedate simplicity in peace and quiet.